Home News Photo: Hon. 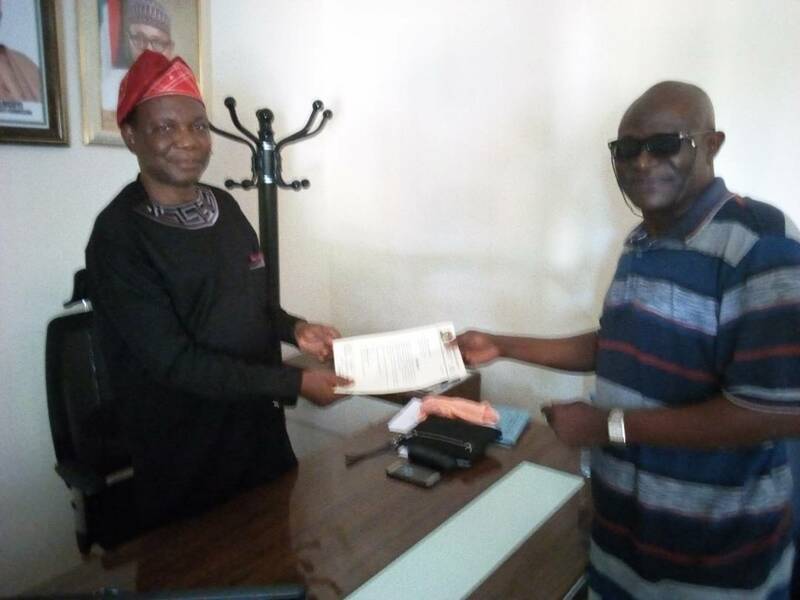 Otitoju Olusuyi receives appointment letter from Taiye Atibioke. Photo: Hon. Otitoju Olusuyi receives appointment letter from Taiye Atibioke. This is a photo report of Hon. Otitoju Olusuyi receiving his letter of congratulations from Mr Taiye Atibioke on Thursday, 14th June at Lokoja. Mr Taiye who is the President of Ijumu Development Movement (IDM) presented the congratulatory letter on behalf of the association to Hon. Otitoju Olusuyi as he becomes the new Federal Commissioner in charge of Kogi State Public Compliant Commissioner, Lokoja. Hon. Olusuyi calls for partnership and progress and promised not to disappoint them in his official assignment.